Michigan has 288 designated opportunity zones, including 283 low-income communities, plus 5 non-low-income contiguous tract. 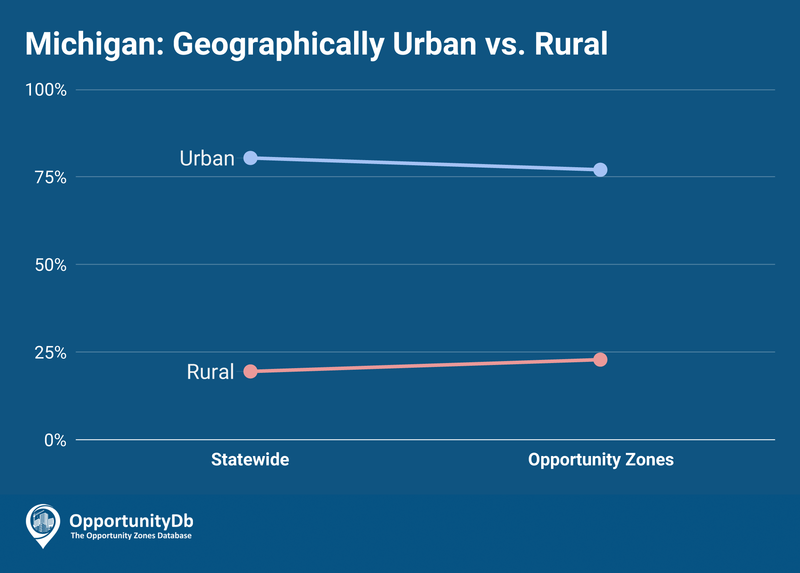 Michigan gave virtually no preference to either urban or rural areas when it came time to nominate opportunity zones. Approximately three-fourths of their opportunity zones are located in urban areas, a ratio very similar to the statewide average. Detroit is home to 70 opportunity zones, nearly a quarter of the state’s total.